Andre Rieu Live In Australia DVD from DVDLand. On a beautiful Melbourne evening in November 2008, an audience of nearly 40,000 witnessed the show of a lifetime. André Rieu and his Johann Strauss Orchestra, together with the Imperial Ballet of Vienna, Tanzschule Elmayer, Stars on Ice and the Australian Federal Police Pipe & Drum Band and friends brought Vienna to Australia. Against the spectacular backdrop of the Schönbrunn Palace, André, his musicians and his entourage entertained the audience with gems from the Austrian capital as well as a host of popular melodies from his ‘second home’, Australia. 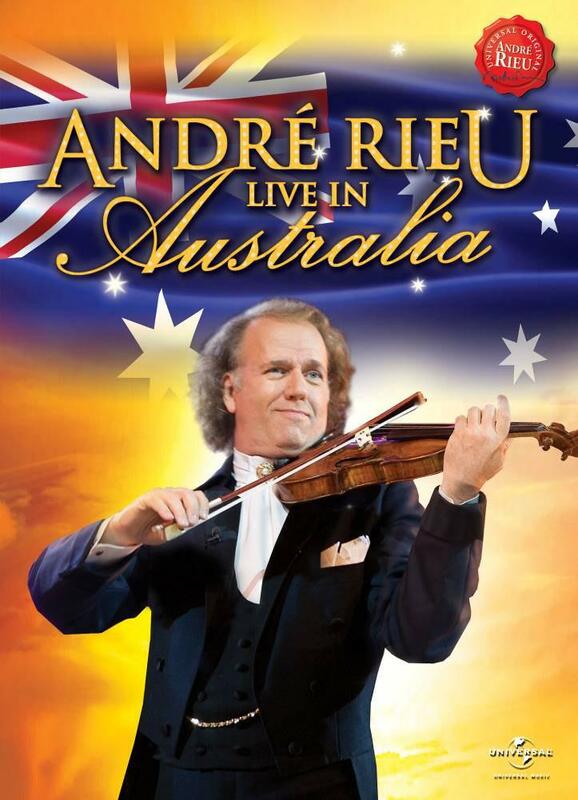 Click the button below to add the ANDRE RIEU - LIVE IN AUSTRALIA (DVD) to your wish list.